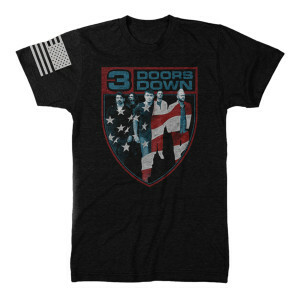 Vintage black poly/cotton t-shirt featuring a flag crest design on front and flag on the right sleeve. I love my tshirt! True to fit. Soft and comfortable! Ordered for my husband, he loves it. Its nice quality and a great looking shirt!